We all have that one room that we shut the door to when friends come round. You know that room. It’s full of laundry. Random toys. A box you have yet to unpack. Christmas presents you don’t know where to put. Piles of papers you swept off the counter before your friends arrived. That room. That messy room that holds everything. That room, that when the door is closed, no one is the wiser to the mess behind it. What’s inside that room is what we’re going to capture this week as we embrace the mess! We’re keeping all the doors wide open this week. We’re not moving the papers from the counter. We’re not hiding away the toys ALL over the house. We’re leaving the laundry on the sofa, the books on the table and the dishes in the sink and we’re going to capture it all! 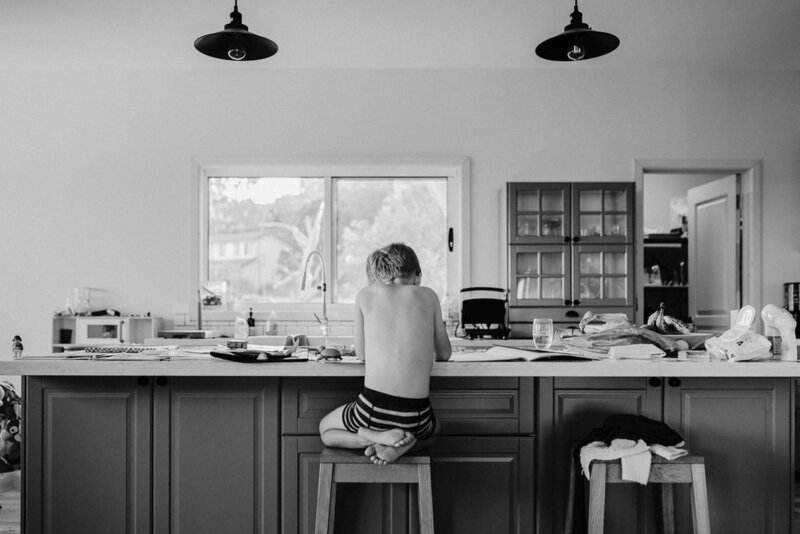 When we pick up our camera to capture our lives in our homes, it can be so tempting to quickly hide away the mess and sweep the stuff off the counter out of the frame, just like we do before a friend knocks on the door. But don’t give in to temptation to hide anything away this week. In fact, when you pick up your camera to capture a moment, don’t touch anything! Leave everything just as it is and use the mess in your storytelling. Use it in your compositions. Use it show your life exactly as it is right now in this moment. If you manage to keep your house neat and tidy, you can still join in this week (and you’ll need to teach me your ways!). Your house doesn’t have to look like a bomb site of lego or like a tornado has just been through. Your house may not be full of toys or children who like to leave little messes behind, and that’s okay. Your mess can be as simple as a few dishes in the sink, the mail on the counter, your clothes on your bed you haven’t hung up yet or the shoes scattered by the door. Everyone’s messes will look different as we’re all different, we’re all at different stages of our lives and we all have different tolerance levels for mess, but that’s what makes us all unique and that’s what will make our images personal to us. Relax on your cleaning this week, embrace the mess and just have fun capturing life as it is! Remember don’t move anything, and no cloning anything out either! If you’d like to share your mess, we’d love to see it so please keep tagging your images with #unscriptedmentoring on Instagram.